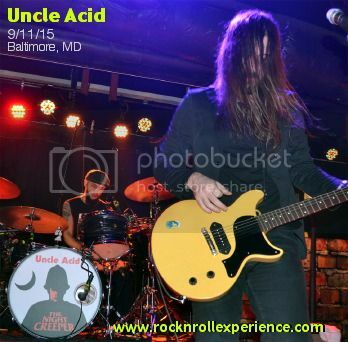 Uncle Acid are cut from the same cloth as Electric Wizard, Black Sabbath, and Blue Cheer; they were born and bred to deliver sonic slabs of distortion/sludge to your ear holes! 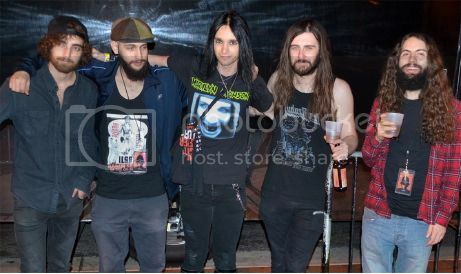 The first of two openers started at 9 PM and at that point the crowd was minimal BUT once the almighty Uncle Acid took the stage just after 10 :30 PM the venue became intoxicatingly tight. The smell of reefer emanated throughout the venue and it was clear that this crowd was there to party! One major mistake the venue made was having no initial security upfront to stay in the barricade. Midway through Uncle Acid’s set the crowd began to get rowdy and crowd surfing started; at that point a flurry of venue staff jumped in and guarded the stage area to assure no one was hurt. A fight broke out in the pit which made the band stop the show and yell at the crowd to “Stop being pussies and Stop the Fighting!”. One very smart move on the bands part was keeping their merch priced low; All shirts were $20 & cds were $15. Needless to say, the bands cleaned up in merch sales and on that same token I give it to all 3 bands for having well made, cool looking merch. 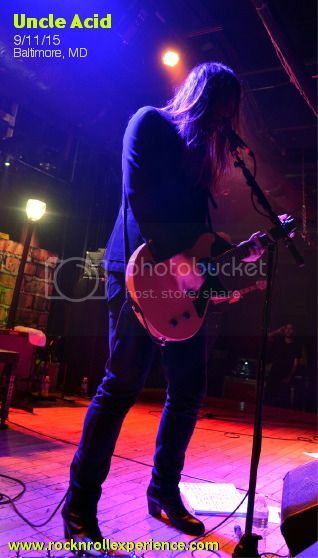 I’d seen Electric Wizard at this same exact venue a few months prior and I will state for the record that Uncle Acid blew Electric Wizard away and it’s due to their tight musicianship. The fuzzed out rhythm tones were balanced out with the clean lead tones and musically Uncle Acid’s set was heavily influenced by Tony Iommi styled riffage. In Baltimore rock shows are very hit or miss; you can never predict which shows will sell well or tank. 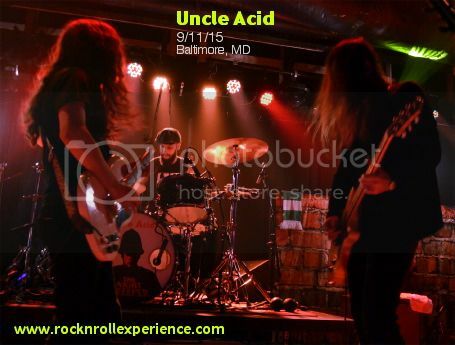 Uncle Acid are the reigning kings of doom metal and I give the band my seal of approval because they delivered a massive chunk of stoner/doom metal which sounded amazing and brought out a large Baltimore crowd.